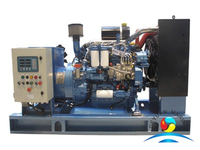 Nowadays, the marine generator has a wide range of application in tug, yachts, ferry, patrol boat, dredging and offshore etc. 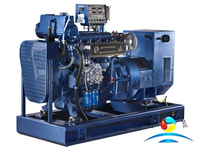 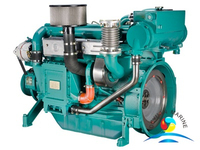 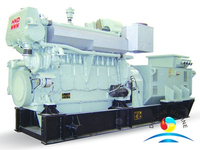 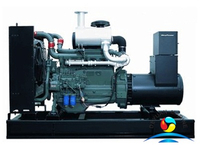 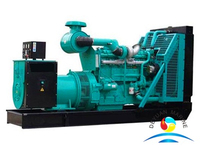 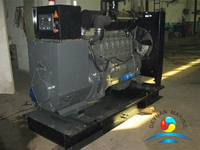 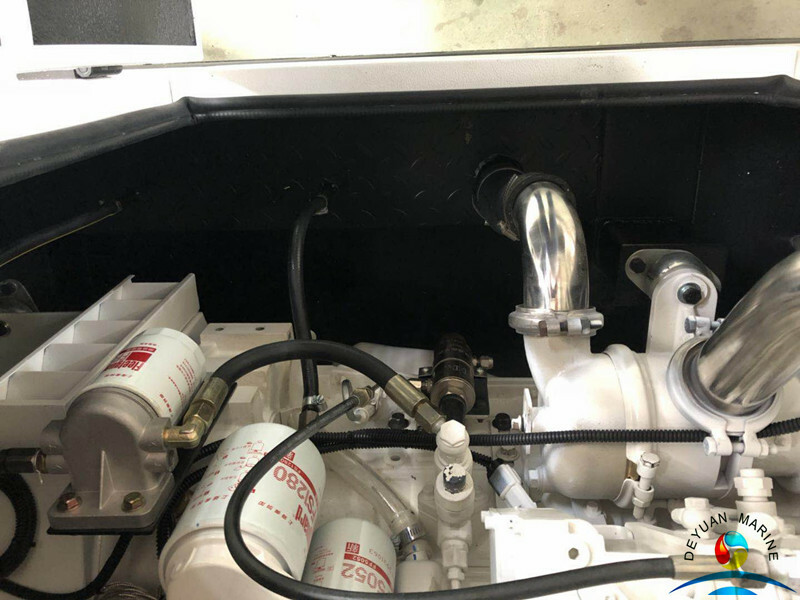 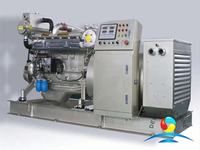 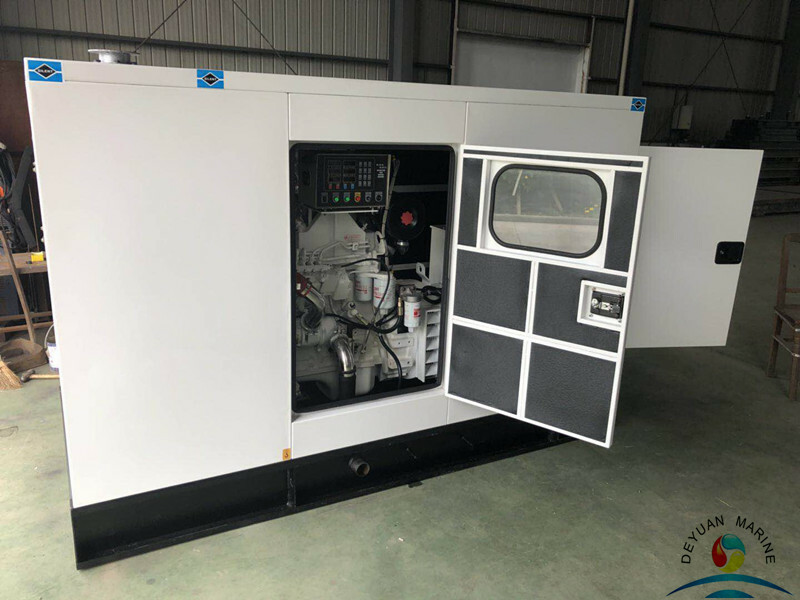 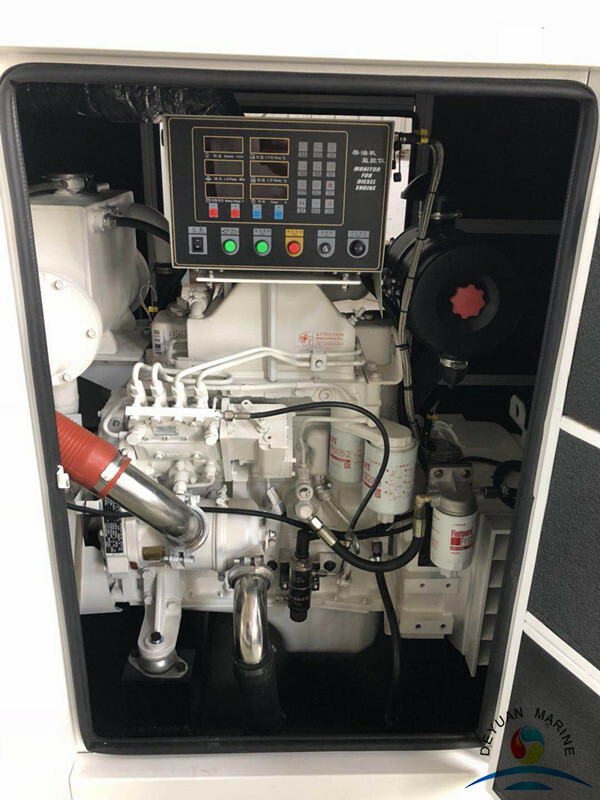 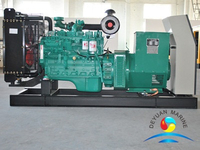 normally, a generator set will consist of the engine, alternator and control system, we China Deyuan Marine can supply many types of generator set, the power range from 20KW up to 1800KW, the brand of engine we mainly supply Cummins, Yuchai, DEUTZ, MWM, Volve, Perkins etc, the brand of alternator we offer famous brand, such as Marathon, Stamford, if customer has special brand required, we can also satisfy. 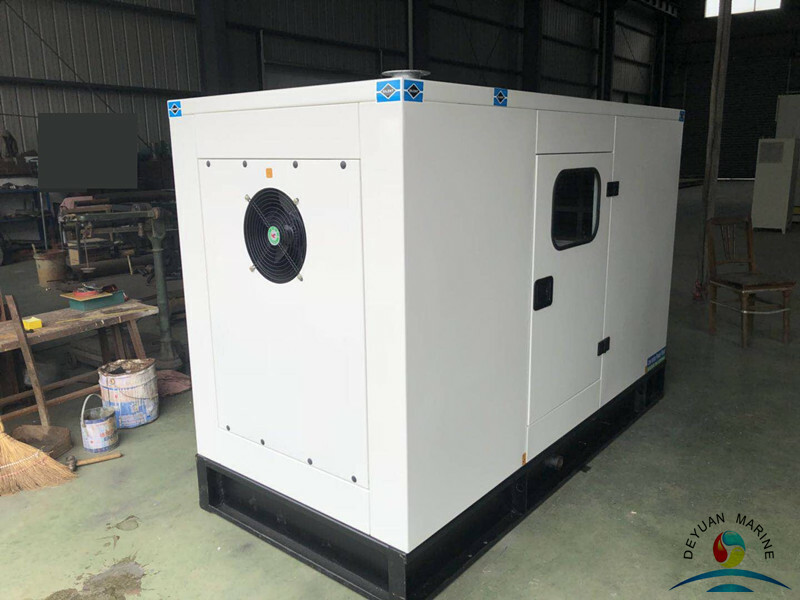 Alternator brand Marathon, model MP-H-50-4, prime power 50KW, 50Hz / 1500rpm / 380 V, Brush-less, Self-excited, PF 0.8, H insulation class, IP56 protection class, 3 phase 3 wires. 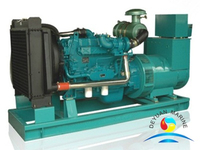 ＊Protection System：Over speed、High Engine Temperature、Low Oil Pressure、Emergency Stop. 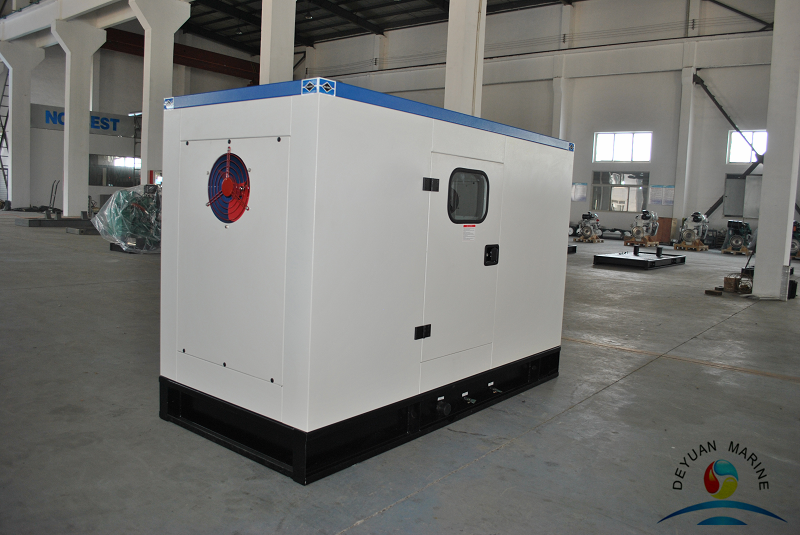 And the other protection function presetting. 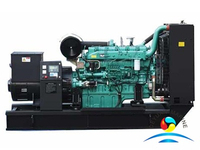 Class certificate such as CCS, BV, NK or any other certificate are available for all our marine generator set, if you are interested in any marine base genset, just feel free to contact with our team!